The Facts About Hernia Mesh Surgery | Avram Blair & Associates P.C. If you have a hernia, it will not heal on its own. Surgery is the only way to treat a hernia. A hernia occurs when an organ, intestine or fatty tissue squeezes through a hole or a weak spot in the surrounding muscle or connective tissue. Hernias often occur at the abdominal wall. Sometimes a hernia can be visible as an external bulge. If your hernia does not bother you, you can wait to have surgery. Your hernia may get worse. Most people with hernias have surgery to repair them, even if they do not have symptoms. This is because many doctors believe surgery is less dangerous the strangulation, a serious problem that occurs when part of your intestine gets trapped inside the hernia. Surgery is the only treatment and cure for inguinal hernia. 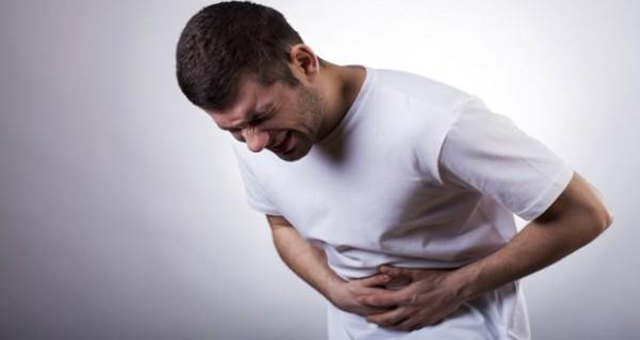 Hernia repair is one of the most common surgeries done in the United States. About 750,000 people have hernia repairs each year. Often, surgeons use a loosely woven sheet of flexible mesh to patch the weakness or plug up the hole instead of simply stitching it. Laparoscopic – The surgeon makes several small incisions in the abdomen that allow surgical tools into the openings to repair the hernia. Laparoscopic surgery can be performed with or without surgical mesh. Open Repair – The surgeon makes an incision near the hernia and the weak muscle area is repaired. Open repair can be done with or without surgical mesh. Open repair that uses sutures without mesh is referred to as primary closure. Primary closure is used to repair inguinal hernias in infants, small hernias, strangulated or infected hernias. Typically, general anesthesia is given, and a small cut or incision is made in or just below the navel. The abdomen is inflated with air so that the surgeon can see the abdominal organs. A thin, lighted microscope-like instrument called a laparoscope is inserted through the incision. The instruments to repair the hernia are inserted through other small incisions in the lower abdomen. Mesh is then placed over the defect to reinforce the belly wall. There are many things to think about when deciding if you should have surgery to repair a hernia. Surgery has generally been recommended for all inguinal hernias to avoid complications such as strangulation, in which a loop of intestine becomes tightly trapped in a hernia, cutting off the blood supply to that part of the intestine. The use of surgical mesh instead of stitches alone when repairing abdominal hernias appears to reduce the chances the problem will return, a study suggests. However, it is important to be aware of the dangers of Hernia Mesh. Mesh use is linked to other surgical risks, including infection, researchers say. Dr. Steven Hodgett, a general surgeon at Baptist Health in Jacksonville, Fla. says synthetic mesh adds about $50 to $100 to a hernia procedure’s cost. Biological mesh could add more than $8,000. The use of mesh increases the odds of seomas by 7.7% researchers say. There are many types of mesh products available, but surgeons typically use a sterile, woven material made from a synthetic plastic-like material, such as polypropylene. The mesh can be in the form of a patch that goes under or over the weakness, or it can be in the form of a plug that goes inside the hole. There have been many scientific studies regarding hernia mesh issues and lawsuits have been filed because of the complications that can arise from a hernia mesh surgery. It is important to know the facts, contact us, we can help.